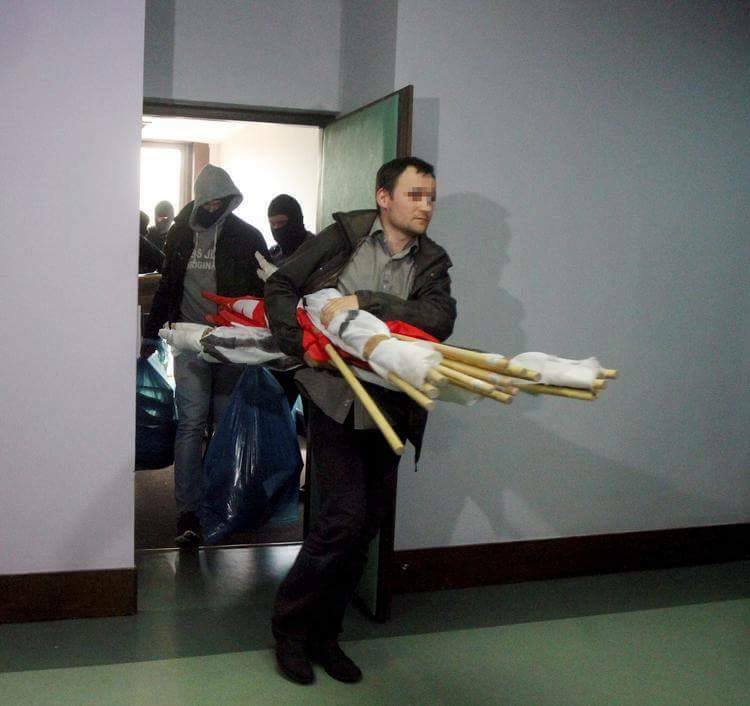 On the morning of May 18th, the Internal Security Agency of Poland launched a series of raids against anti-NATO activists and allies of the political party of the famous politician and analyst Mateusz Piskorski, Zmiana (Change). Piskorski himself was arrested and remains in custody on charges of “spying for a foreign country,” with various media sources hysterically spreading the “unconfirmed news” that he was employed by the intelligence services of Russia “and/or” China. 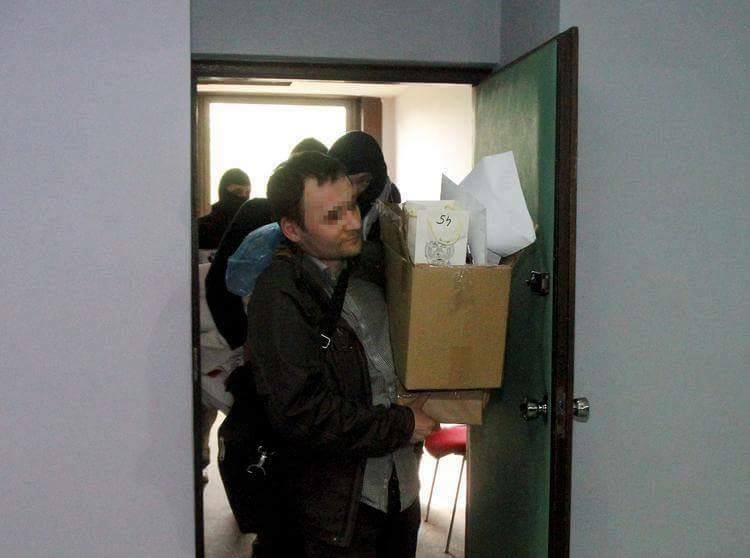 Zmiana’s general secretary, Tomasz Jankowski, was also arrested but has since been temporarily released. 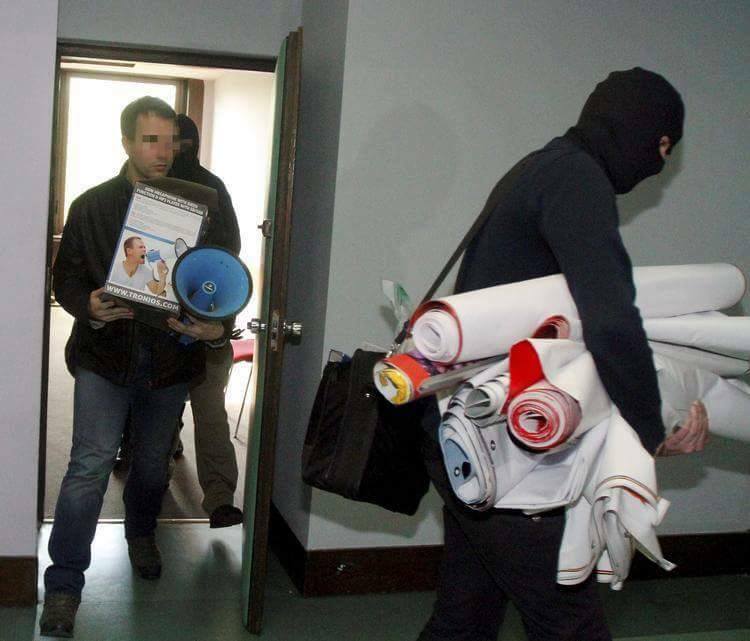 The party offices of Zmiana and allied organizations were raided and the homes of Zmiana-affiliated activists were searched. 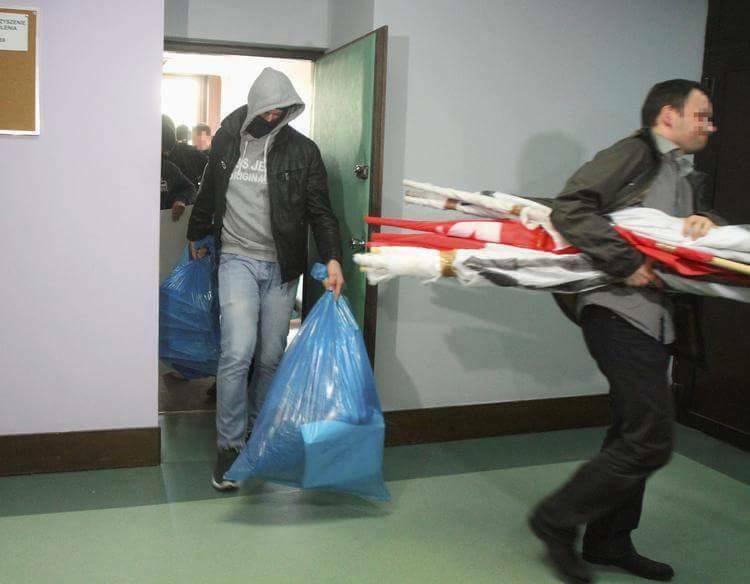 Computers, telephones, documents, and any other “data-carrying” devices were confiscated by security officers. Activists are reportedly on full alert and expect further such incidents at any moment. The wide-scale coordinated action against Zmiana comes on the heels of an increasingly tense political situation in Poland. Several weeks ago, activists from the Communist Party of Poland and the Grunwald Patriotic Workers’ Union were sentenced to “restricted liberty,” including community service, fines, and travel bans for “promoting totalitarianism.” Following these events, just two days before his arrest, Piskorski warned that the Polish government will attempt to “pacify” oppositional organizations and individuals in the run-up to the NATO summit to be held in Warsaw on July 8th-9th. 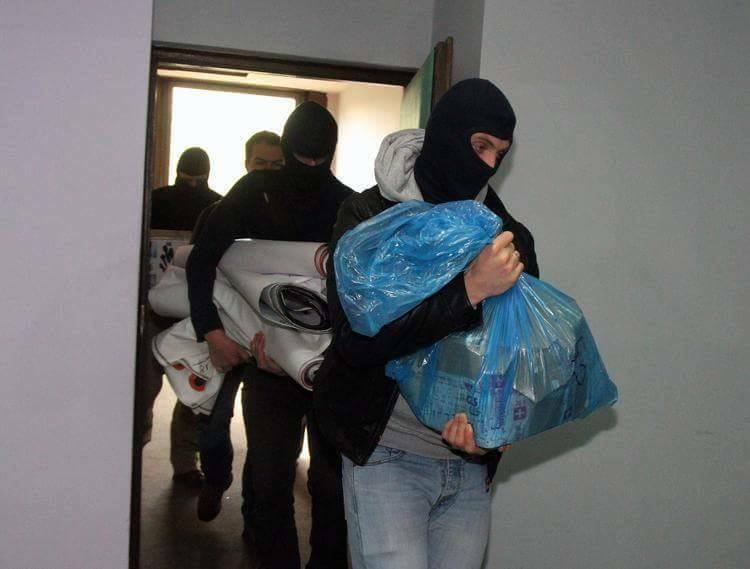 “This morning, officers of the Internal Security Agency (ABW) searched the homes of members of the party ZMIANA and demanded that hard drives, any data carriers, and documents, etc. be handed over. We believe such actions to be a form of political repression and an attempt to intimidate groups that have a different vision of Polish foreign, domestic, and socio-economic policies than the one promoted by the Republic of Poland’s authorities. 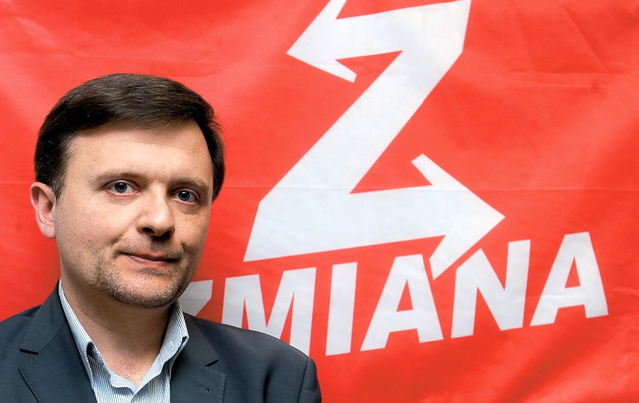 The Chairman of ZMIANA, Mateusz Piskorski and the organizations and independent groups around him are operating in compliance with Polish law despite harassment from state authorities, such as the prolonging of the procedure of ZMIANA’s registration as a party. The ABW’s actions represent a flagrant violation of the rule of law unacceptable in a democratic country which claims to respect freedom of speech. Those subjected to unjustified repression will submit complaints, as provided by law, against the actions of the ABW, and any attempts to violate the good name of ZMIANA and its members will be taken by us to court. While the harsh, whirlwind attacks may have caught some off guard, the general context is no surprise. Poland’s overwhelmingly Russophobic media has whipped up hysteria against the alleged “Russian Fifth Column” and “Putin’s agents” since the day of Zmiana’s founding. In connection with preparations for the upcoming NATO summit in Warsaw, the Polish government also passed a bill prohibiting protest actions in the capital at the time of the event and has tightened security measures with vague references to a “terrorist threat”. Zmiana has been targeted for its openly anti-Atlanticist geopolitical stance and its pledge to demonstrate against NATO and the United States’ deployment of additional troops and weapon systems on Polish soil. The endless witch hunt for “Kremlin trolls”, given new impetus with the desire to prepare a clean show for Barack Obama’s attendance of the NATO summit, has now culminated in direct political repression.